Netanyahu thanks Trump for condemning recent anti-Semitism, urges leaders in Europe to do the same. Prime Minister Binyamin Netanyahu on Wednesday thanked President Donald Trump and Vice President Mike Pence for condemning recent incidents of anti-Semitism in the United States, urging leaders in Europe to follow suit. "Anti-Semitism certainly has not disappeared. But there is much we can do to fight back. World leaders need to unequivocally condemn anti-Semitism wherever it is found. And I appreciate the fact that in the last few weeks and days, President Trump and Vice President Pence have taken a strong stance in condemning anti-Semitism,” Netanyahu said in remarks broadcast by video to the Jewish People Policy Institute conference in Jerusalem. “This is what we expect too from European leaders, most of them have done it and this is what we must demand from governments around the world because Jews around the world should not live in fear," he added. “Israel’s influence is expanding as never before. 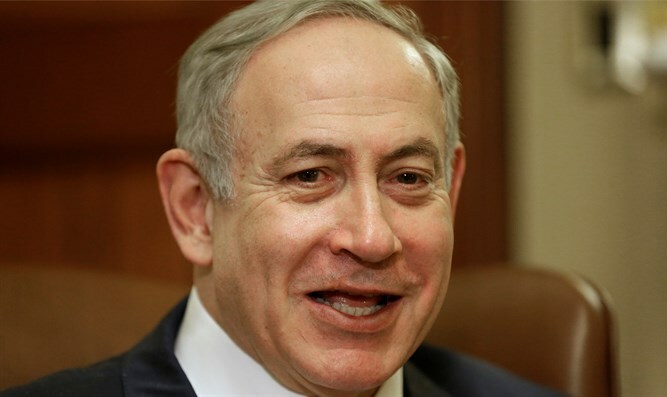 And as it expands, we are garnering allies for our people everywhere,” said Netanyahu. The entire world is coming to Israel because of our expertise in technology and in countering terrorism. And this is why I’ve never been more hopeful about the Jewish future. “Israel is stronger than ever. Our impact in the world is ever expanding,” he stressed, adding, “100 years ago, on the eve of the Balfour declaration, people asked what to do about what they called ‘the Jewish question’. Well, 100 years later, the answer is clear. “Israel is the answer. So today I ask all of you to do two things, only two things: support Israel and fight anti-Semitism. They are one and the same,” said the Prime Minister. Trump began his address to the joint session of Congress on Tuesday night by condemning recent acts of anti-Semitism in the United States. "Recent threats targeting Jewish community centers and vandalism of Jewish cemeteries, as well as last week's shooting in Kansas City, remind us that while we may be a nation divided on policies, we are a country that stands united in condemning hate and evil in all its forms," he said. In addition, two Jewish cemeteries have been vandalized in recent weeks. Nearly 200 headstones were knocked over in a Jewish cemetery near St. Louis. Last week, Pence strongly condemned the vandalism of the cemetery near St. Louis. He later personally helped in repairing the damage.